First Floor 2516 sq. ft.
Second Floor 1147 sq. ft.
Width 69 ft. 0 in. Depth 65 ft. 0 in. Approx. Height 30 ft. 0 in. Brilliant design is sure to catch your attention with this Premier Luxury house plan. An embellished floor plan packed with amenities lends to luxurious living. 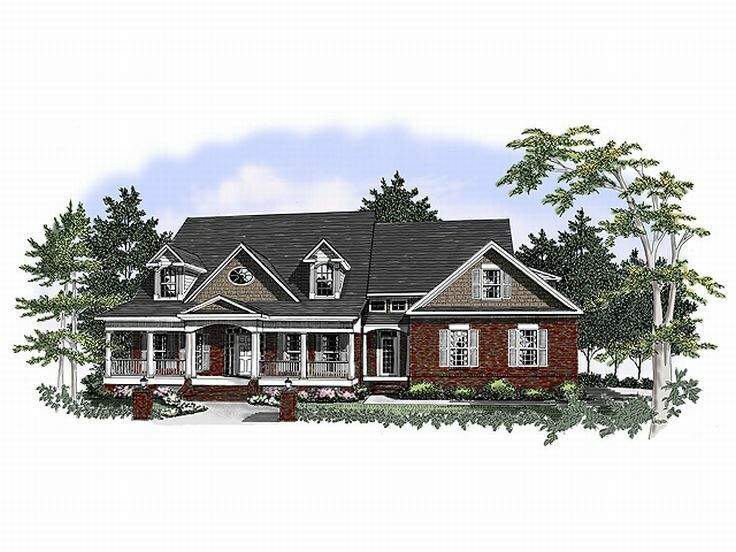 A covered front porch gives this two-story home plan inviting country flair. Inside, the study and dining room flank the foyer, each with elegant arched entryways. Straight ahead, more arches accentuate the posh family room boasting a center fireplace flanked with built-ins, a soaring ceiling and three classic French doors opening to the rear, covered porch. 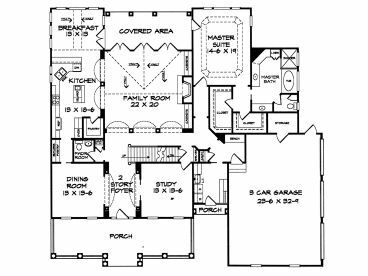 Showcasing the kitchen, a walk-in pantry, butler’s pantry and meal prep island are sure to delight the family chef while serving the dining room and vaulted breakfast nook with ease. The astounding master suite is sure to spoil you at the end of the day. His and hers walk-in closets and a lavish bath await you while a unique raised ceiling adds drama. Entering from the three-car garage, you’ll notice a handy bench great for aiding the children when putting on or taking off shoes and coats. The convenient laundry room is just steps away. 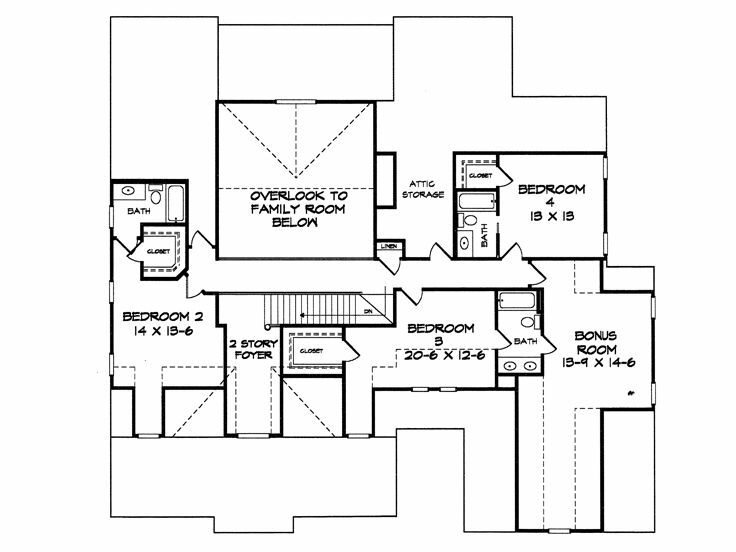 On the second level, three bedrooms overlook the two-story foyer and family room from a balcony. Each bedroom flaunts a walk-in closet and private bath access. Dormer windows brighten Bedrooms 2 and 3. 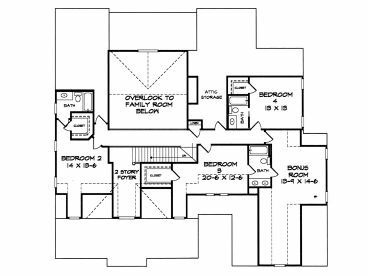 Plenty of attic storage and a large bonus room are sure to offer that much needed space that a large family requires. 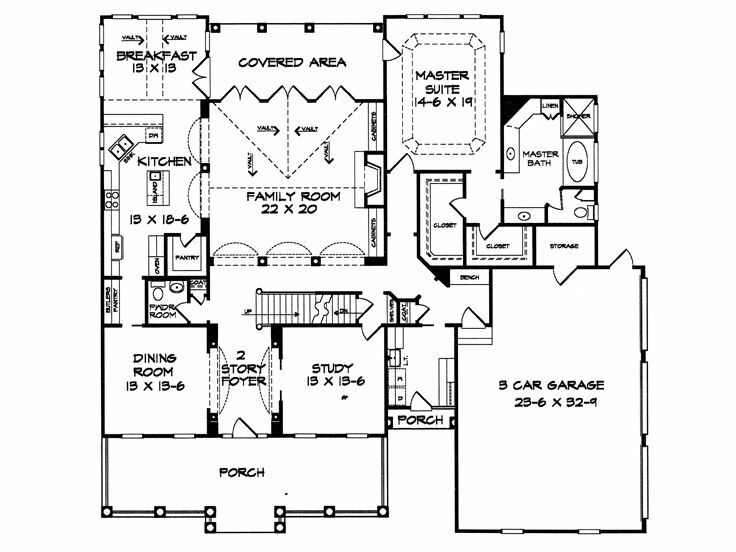 This country style Premier Luxury house plan stands out among other family oriented home plans.